So, you want to play paintball! Before you are able to hunt down your friends in style, you will need to buy a paintball gun. 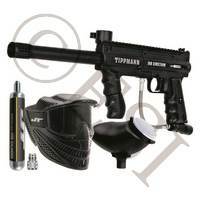 We carry everything from your beginner paintball gun all the way to the high end paintball guns which may cost more than your car. 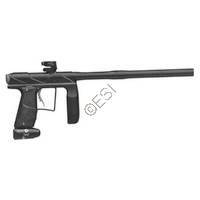 Whether you want a Milsim paintball gun or a fancy tournament paintball gun, you are in the right place. 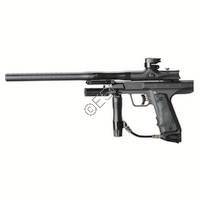 If you are unsure of what paintball gun to buy... Well, just give us a call, chat, or drop us an email and our friendly sales staff will be more than happy to help you! We have several factory trained technicians on hand to help with any technical questions that you might have. .68 cal is the most common type of paintball and would be considered 'standard'. DYE Precision has been on the fore front of design, and it shows in their paintball markers. Marker of choice by the world famous Ironmen. Their paintball guns can dominate the field and dazzle the eyes. Empire has recently entered the market industry with the ever-popular Mini and now its big brother the Axe. 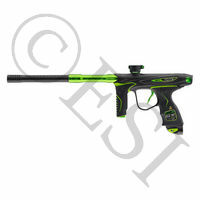 Empire has also revived the pump Trracer, adding another dimension to their inventory. 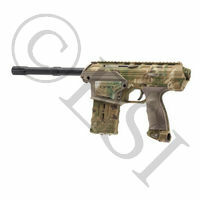 Engler has a strong reputation for making very high quality custom replica markers out of real and salvaged firearm parts. 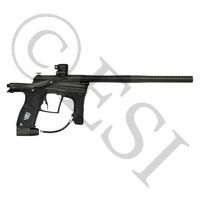 GOG Paintball has been built from the ashes of Smart Parts, bringing with them that ingenuity and quality that made SP markers so popular for so long. JT USA is a name used by many everyday in the world of paintball. Their line of paintball guns are based on the blow back design for ease of maintenance and reliability. 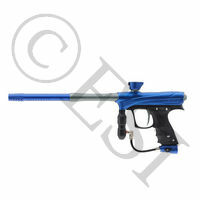 Planet Eclipse started off by making revolutionary accessories and customized paintball guns. With their years of experience, the EGO was born. PE prides itself on tried and true engineering and amazing styling. Proto is a side company of DYE Precision. The goal of Proto is to bring the technology of their big guns at a better value. Their performance will keep up with the big dogs on the field while not killing your pocketbook. 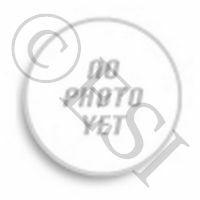 Smart Parts started in 1989. 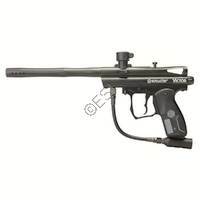 They strived to stay on the fore front of technology constantly improving on paintball guns while making them more affordable. With great tech support and customer service, it is no wonder that they are one of the best. 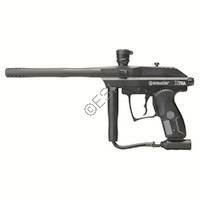 Kingman was not the creator of the blow back design, but they made it affordable for the masses with the Spyder in the early 90's. From Speedball to Woodsball, Kingman has you covered. 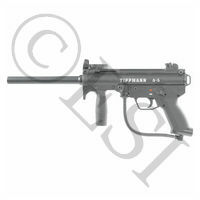 Tippmann Sports was the first company to introduce a full auto paintball gun, even before the semi auto was available. 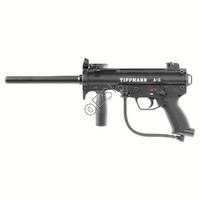 With superior customer and tech service with unmatched reliability, you can never go wrong with a Tippmann. Manufactured by Tippmann, US Army Paintball Guns take realism to the next step. Their motto - Strong, Smart, Real explains it all. Want to go play army with your buddies? This is the place for you. 50. 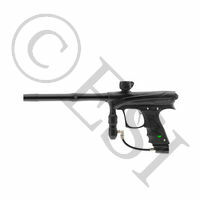 Caliber paintball markers are the latest in paintball inventions. Bringing lighter weight markers, increased efficiency, and a new side to the game. 43. Caliber paintball guns are usually pistols and allow fro greater efficiency and a more compact package. 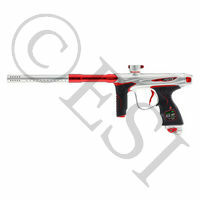 These are limited edition paintball guns that will not be around very long. Get them while you can! 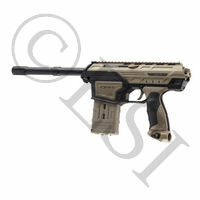 Instead of a mechanical trigger and sear, a microswitch (or other electronic switch) is placed behind the trigger. When pulled, the firing of the gun is controlled electronically. Full Auto (or some variation of a safety full auto) already installed or enabled. Mechanical markers don't need batteries and usually have very simple maintenance. Great for beginners or those looking for solid markers that work in any conditions. 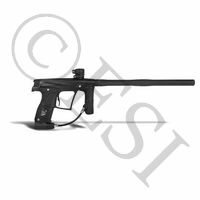 Have an electronic trigger for a fast rate of fire and a vertical feed neck and hopper so that you can easily play either side of a speedball bunker. 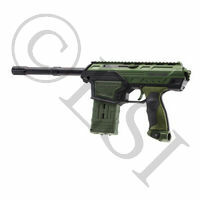 Subdued colors, accepting tactical accessories like sights and stocks, and generally being able to sight down the top of the gun. If you're looking for a UMP, or M4, or anything else that you might see at a real firing range then this is the place to look. 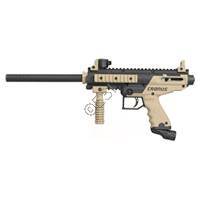 Distinguished by a shoulder stock and a high performance barrel. 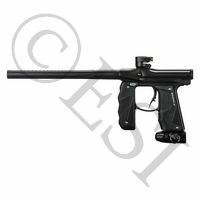 Short barrels, are magazine (top or grip) fed, and are generally powered by a 12 gram CO2 cartridge. Have to be re-cocked manually. Since you're doing the recocking, the guns are much more efficient. 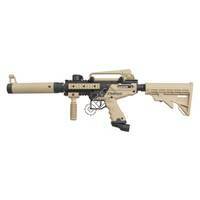 Returned guns from big box stores that are fixed up and checked over by the manufacturer before being resold. Massive upgrades from the DM series. Massive upgrades from the DM series. Massive upgrades from the DM series. Massive upgrades from the DM series. Massive upgrades from the DM series. Massive upgrades from the DM series. . .
A great new version of the Axe. . . .
. Ultimate mid level marker! HDE Camo printed Etek 5. .
Upgraded version of the Proto Rize marker. . Upgraded version of the Proto Rize marker. Upgraded version of the Proto Rize marker. 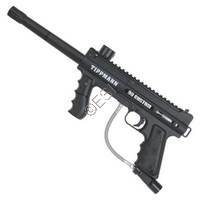 Tippmann has redesigned the A-5 for 2011 adding several new features to improve the marker’s already notable reliability, accuracy and ease-of-maintenance. Combining technology, accuracy and durability, the new A5 HE allows players to choose from semi-auto, auto-response, full auto, 3-shot bursts and turbo firing modes. 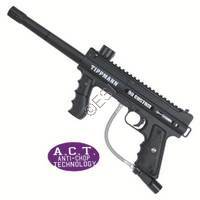 Fire up to 15 balls per second with the New Tippmann A-5 RT . .